The 50L is the shortest 50' lift in the world in this size class at 11'.4". 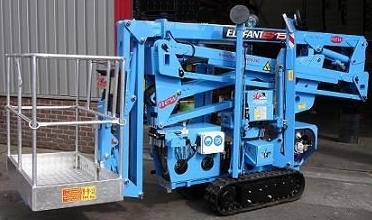 Weighs only 4,310 lbs, yet it is a very rugged and stable lift. It can be used both outdoors and indoors, as the standard format comes equipped with a 13 HP Honda gas engine and a 120V electric hydraulic power pack.